Give the Gift of Clay to Kids in DC! Community Clay! by the District Clay Center brings clay & ceramics to underserved kids in the DC area. Our current offering brings two Community Clay teachers to THEARC to teach free ceramics classes to kids on Friday afternoons. 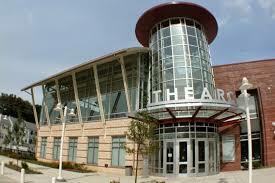 THEARC is a $27 million, 110,000 square foot , state-of-the-art campus located in Washington, DC's Ward 8. With a mission of working to improve the quality of life for residents of Ward 8, THEARC is home to eleven non-profit agencies that share the goal of helping children and adults reach their full potential. We are grateful to ArtReach, an arts-oriented non profit affiliated with GW University, for offering District Clay the opportunity to teach classes at THEARC. ArtReach has been producing programs at THEARC since 2005. Community Clay! is run under District Clay Center's 501(c)3 arm, the District Clay Educational Fun (DCEF). All donations to the Fund and our Community Clay! program are tax deductible. A $10 donation will provide a free clay class to a child every Friday afternoons at THEARC. A $100 donation will buy a full term of classes for that child. Touching clay, making art, creating something personal and beautiful with your own hands - those are positive self affirming experiences that can last a lifetime. Studies show that art therapy - and especially clay art therapy (CAT) - transforms negative emotions (such as despair or despondency) into positive ones (like hope, surprise, satisfaction, and joy). Please help bring the joy of clay and of making to kids in the DC area.